I am an Australian librarian with a love of history. I have an MA in history and am also a family history obsessive. Although I was born and grew up in country Victoria, I have lived all my adult life in Melbourne. I worked at a variety of jobs over the years before finding my niche in our local public library including nurse and tax assessor, I also trained as a teacher but never taught as I lacked the necessary ringmaster skills. I have always loved historical fiction particularly the sort that uses fictional characters within a well researched historical background. 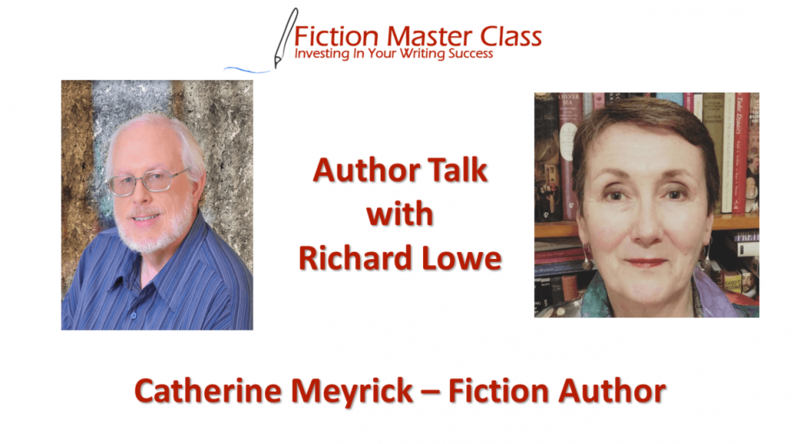 Catherine Meyrick is a writer of historical fiction with a particular interest in the Elizabethan period which she fell for while studying history at University. Her stories weave fictional characters into the gaps within the historical record – tales of ordinary people who are very much men and women of their time, yet in so many ways like us today with the same hopes and longings as we have to find both love and their own place in a troubled world. Forsaking All Other is set in England in the 1580s and follows the struggles of a young widow and waiting woman, Bess Stoughton, who discovers that her father is arranging for her to marry an elderly neighbour. Normally obedient Bess rebels and manages to convince her father to allow her a year to find a husband with whom she has some hope of happiness. Bess’s domestic concerns are set against the background of simmering Catholic plots to unseat Queen Elizabeth, and the involvement of English forces under the Earl of Leicester in the Netherlands in support of Dutch resistance to Spanish rule. These larger matters are of little concern to Bess until she meets Edmund Wyard, a veteran of England’s campaign in Ireland, who is preparing to join the Earl of Leicester’s army; he too is trying to avoid his family’s marriage plans for him. The major characters in the novel are fictional but the historical timeline and background are well researched and as accurate as possible. 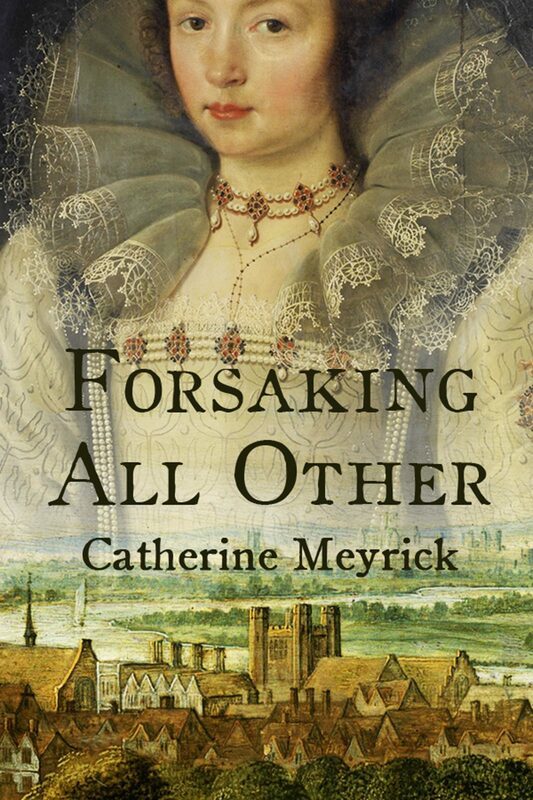 Forsaking All Other does not revolve around the Elizabethan Court but is essentially the story of ordinary people in a time of suspicion and war. By making her characters conventional, Catherine hopes to show something of the reality of lives in the past, the lack of freedom that women, and men too, had in determining their own lives and even their choice of spouse, and the difficulties that a could arise when they stepped outside the boundaries of a far more rigidly structured society than our own. Catherine is currently revising a novel called ‘The Bridled Tongue’ set in England a couple of years later than Forsaking All Other with an entirely new set of characters. Once again, it deals with the making of marriages in this period, this time an arranged marriage that the young woman goes along with it, as so many did. Alys Bradley unenthusiastically enters into marriage with Thomas Granville, a privateer, not only because of pressure from her father but to escape a suitor she considers a worse prospect. In this novel, Catherine explores the way a relationship could develop where the partners to it are not ‘in love’. ‘The Bridled Tongue’ touches on other issues such as sibling rivalry and jealousy, the dangers of gossip, witchcraft accusations and the way the past can reach out and affect the present. The backdrop is the threat of imminent invasion by the Spanish in 1588 – the Spanish Armada. I so enjoyed the interview. I ordered the paperback edition of Forsaking All Others and it arrived the other day. I am looking forward to starting it this weekend.